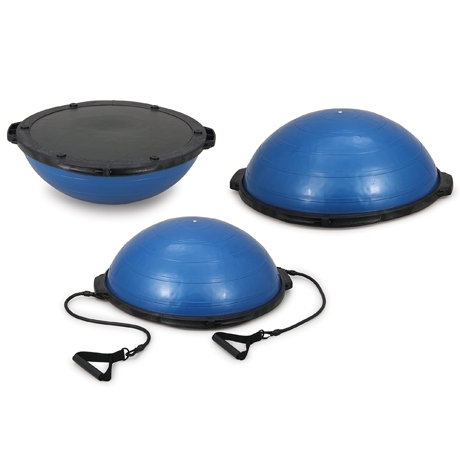 The 60cm Half Ball is a half-circle inflatable ball, and could be used with exercise tubing on each side. Using the 60cm Half Ball will help you to exercise your body with better short term results. Discover an incredible range of activities with the 60cm Half Ball while having fun.